Hello! I’m participating the New Quilt Bloggers Blog Hop, and this week I’m up for the introductions. If you are here on the blog hop, welcome! I’m looking forward to getting to know you. Settle in and stay awhile! My name is Jodie, and I live in New Jersey with my husband and two children. No pets here, but the small people of the house are lobbying for a puppy, so we shall see. I serve as a pastor of a small church, so I do most of my quilting in the evenings. I’ve been quilting in earnest since late in 2012. My kids were newly 2 and 4 then, and I I finally had my hands free (for a few moments, at least) for the first time in years. Quilting appealed to me because it had beautiful and useful finished products. I also wanted to do something to work on my patience. But mostly…I found I was collecting fabrics — oh, such beautiful fabrics — and I wanted to put them to work. I love making things, but I probably wouldn’t be making quilts if the fabrics weren’t so lovely. I love color, and the endless combinations of colors in quilts is a big plus. I had tried quilting a few years earlier. I’ve always been a fabric fan. But sewing proved frustrating, and I wasn’t happy with mismatched points and imperfections. On my first quilt, I pulled out almost every seam at least once. It was too much. I think I’m more relaxed about that now. I mean, I still whine about imperfections, but I can keep going despite them. Progress! In addition to quilts, I occasionally sew other things. I love a small project or a mini quilt every now and then! I guess I’m not quite a brand-brand-new blogger. I started Persimmon + Pear in 2014, but I basically set it up on its first day, and then let it be. I wanted to participate in the New Bloggers Blog Hop to learn more about blogging, technical things and the like, and to meet more bloggers and quilters. I don’t have any local quilty friends (well, I’m working on that), so blogs and Instagram are big resources for me. Here are a few favorite quilts that I’ve made so far. This one is the Wallflowers pattern by Cluck Cluck Sew. It represents one of my first forays into simple free motion quilting. So fun…mine is not gorgeous yet, but I’m enjoying the process! Then there’s this orange peel quilt. I like this one because it looks like it did in my mind. You know? It is fun to realize an idea. (Also, you can’t see it here, but it has an amazing Anna Maria Horner print on the back, which I like having around the house). And then, I like this plus quilt because the colors are my favorites, and there are lots of favorite fabrics in there too. Just seeing it cheers me up (sounds corny, but it’s true). For future quilts…I want to play with color more. I have the feeling that I want to just cut up colorful things and sew them together in ways that will actually be a surprise even to me. I’m not so interested in geometrical things, symmetry and plans. I guess this mean I will be doing some improv work soon. It’s surprising, because I don’t always like the improv quilts that I see, but I do feel kind of a strong impulse to take my sewing in this direction. Soon, I think. I don’t have a ton of blogging tips, but one thing that has helped me to blog more regularly is to plan ahead. I keep a list of things that I would like to blog, and schedule them out each month. It doesn’t always work out, but I does keep me on track most of the time. As for sewing and quilting tips, well I would welcome yours! I always find people are so clever, coming up with ingenious ideas. Share yours! One suggestion I have is…if you are the type of quilter who keeps a fabric stash…consider breaking up those fat quarter bundles. Free them! Organize them by color. It is so liberating to see your fabrics ready to mix and mingle. Doing this helped me a lot, and pulling fabric stacks is one of my favorite things to do — both relaxing and energizing! Of course, I still keep some of my fabrics separated — like I’m planning to make a big, big quilt with all Anna Maria Horner fabrics, so I’m keeping them all together until I do it. I think it will be soon. I have these stacks taunting me. I mean – the colors! I love them…can’t resist for long. Finally, some fun facts about me. I’d like to visit Paris. Soon. Or somewhere tropical. Frequently. I’d like to live abroad for awhile, actually. When I’m not quilting or playing with my kids (or, you know, working), I like to cook or read (oh — any suggestions? To read or cook? I always keep running lists of things to read and cook…separate lists…yeah, usually). My favorite movie is You’ve Got Mail. I lived in Japan after college, and had just about one movie with me…that one…so I watched it at least a hundred times. Don’t you just love New York in the fall?!! I’m a creature of the sun! I can wake by 5 every morning in the summer, but in the winter, I practically hibernate. And others will be posting every Monday for several weeks to come. Enjoy finding some new gems. Thanks to Stephanie (Late Night Quilter), Yvonne (Quilting Jetgirl), and Cheryl (Meadow Mist Designs) for hosting this blog hop and for being just all-around inspiring and encouraging! Visit them to find out about the rest of today’s blog hop bloggers. Very nice looking fabric stash!! I find it hard to cut it up until it’s aged a bit. Your blog looks great! So nice to meet you. I can’t imagine you have much spare time with a job and kids. Quilting tip: Invest in a good seam ripper and replace it often as they get dull. Morning Jodie! What a lot of lovely, colourful happy quilts you have showed us in this post – stunning! It has been lovely to read more about you and your quilting journey. I wish I had a book recommendation for you – I read avidly but haven’t read any really goods books recently. Hi jodie: You have a very inviting writing style. It really feels like getting to know you. I love your photos. The stash looks so beautiful and colourful and you have certainly managed to combine your beautiful fabrics into wonderful quilts. Hi Jodi, What a great post, fun getting to know all these wonderful quilters in the group. Your tips are great, the one about separating the bundles really helped me. This is a tough one for me. Also the plan ahead for blogging tips is one I want to work on, but I tend to work on a post that I just finished or that I am working on. Your work is beautiful and so are your photos. TFS! Hi Jodie! Great post to kick off the Hop! Your quilts are beautiful. That Orange peel quilt is really something. I love the colors. You’ve got the making of some really fantastic quilts to come, in your stash, too. I look forward to seeing them. I love You’ve Got Mail, too. Have you seen While you Were Sleeping. Same era, same genre, same sweetness. It’s my all time favorite. It’s been nice to meet you! Hello Jodie, you have some beautiful fabrics in your stash, and I love the bright and colourful quilts. I haven’t been to New York but I have been to Paris, and I can definitely recommend Venice. It’s lovely getting to know you. Well done Jodie, very fun to read and nice to learn more about you. And I can’t say this enough but your picture presentation is really amazing and your Quilts are equally stunning. The blog looks great too and I’m really excited about these blog hops promises to be a wonderful experience. Nice to meet you Jodie. You sound like a very busy woman – isn’t it funny how even when we’re busy, we need that creative time anyway. I participated in the blog hop last year, but I still like to meet new quilty friends, and I think this is a good way. I love writing and blogging, but for me it often falls by the wayside when I get super busy (as I have been in the last year.) But I love to read them – so consider me a new follower! Hi Jodie, you have a great blog, I love the great photos and it’s just so colourful. What a great day it has been visiting everyone. Hi Jodie, I want you to know that I love your header photo. Every time I come to your blog I just stop there admire it for a second. I started quilting like you, I like the pretty fabric and needed to do something with it. I agree with your blogging tip, plan ahead but be flexible. I always have a list of things I want to blog about but am willing to shift it around if other things pop up. In terms of sewing and quilting tips, I like to practice drawing quilting motifs by hand before I start a quilt. It helps me build up muscle memory and have (more) confidence when I get started. Hi Jodie, How nice to find out more about you. I find it interesting that you also commenced quilting as a way to work on your patience. As an inherently rather impatient person, I can relate to that. I feel similar about my quilting – apart from it being fun – as excercise in patience. The quilts you share with us a very pretty too. I am looking forward to reading more of your future improv quilting. Good books… uhm … well what do you like rerading? ‘The Orphan Master’s Son’ is really good but set in North Korea and not on the cheerful side. The African short story collection ‘Kabu Kabu’ was also very interesting. As for food: Try Paul Hollywood’s scone recipe. It is lovely with (clotted) cream / butter and jam. Just the treat for a Sunday morning or an afternoon tea. I adore your blog Jodie, such beauty to be found! I can’t wait to see what you make with your Anna Maria Horner. Loved this post, Jodie!! And I too lived in Japan; I spent a year teaching English and miss the oishii food everyday 😉 Looking forward to seeing your improv works!! Hi, Jodie! I don’t have any local quilty friends either, so blogs and instagram are huge resources for me too. I enjoy reading and cooking as well. What genre do you like to read? Great post today! Hi Jodie! How wonderful to get to know you and the other new quilt bloggers. I love to read and cook too! But I haven’t read as much as I would like lately. I do like exploring new recipes though, and I often jump over to Food Network and type in a random ingredient and get inspired. Your quilts are beautiful and so are the photographs. I know I’ll find inspiration here! What beautiful photography Jodie! I’m drawn to blogs with great photos so I’ll be back frequently to enjoy your blog. Looking forward to getting to know you better! I love the tip about breaking up your fat quarter bundles. What a great idea. I have a few I need to do that to right now! Hi Jodie! I love your quilt photos. Such amazing backdrops for them. I know exactly what you mean when you talk about that feeling that comes when a quilt turns out exactly like you imagined. it. I wing most of my quilts and let them build themselves, but I always have an image of their potential in the back of my mind. I look forward to reading more on your blog. Jodie, what a great intro post. I LOVE all the pictures. I’m a sucker for a blog with great photos. And you stash advice is so true. So much fabric has set unused on my selves because I kept FQ packs together. A few months ago I broke mine apart and arranged by color instead. I find myself using more of my stash because I have let go of the attachment of keeping things together. Hello, so great to meet you! I love all your fabrics, especially those bright orange ones !!! I have a new blog also, please drop by and visit. I like your tip! I think I will place my calendar doodles right next to the laptop, and make a plan! 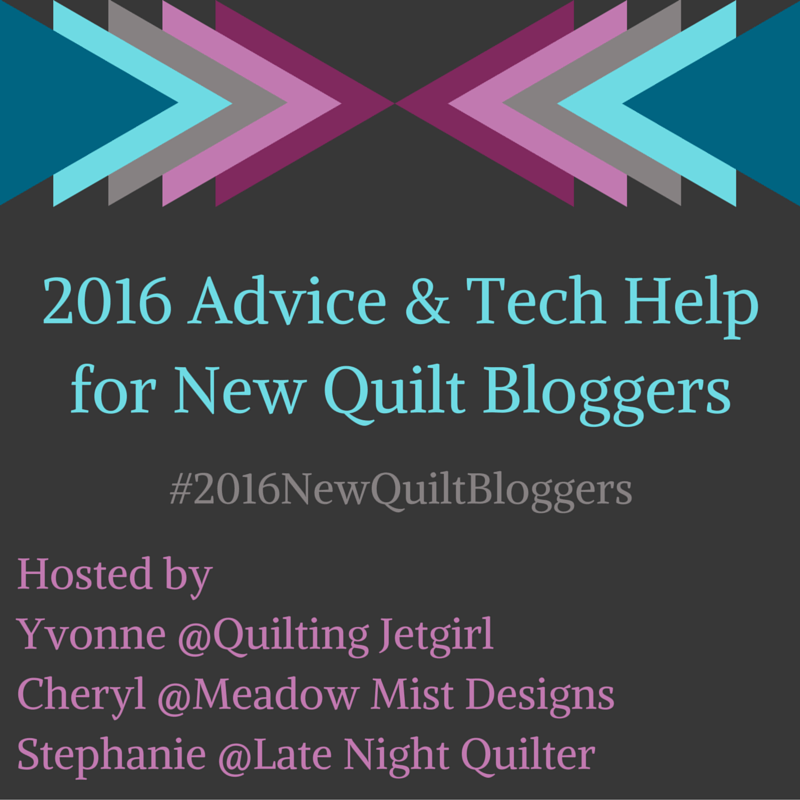 How wonderful to get to know you and the other new quilt bloggers. I love to cook and try out new recipes all the time, now they are all heart healthy recipes. Hi Jodie!! Your orange peel quilt is my favorite!! All of them are beautiful and your photos/backdrops are fabulous!! Looking forward to getting to know you better!! Wonderful post Jodi! Your stash looks lovely and your orange peel quilt is also my favorite. Hi Jodie, I really enjoyed getting to “meet” you in your introductory post. I LOVE the way you put colors together in your quilts. Bright and vibrant! The picture of the PLUS quilt with the matching bush in front is absolutely gorgeous. Like someone else has already mentioned you have a great eye! It was fun to meet you. I too, keep fabrics separate if they are for a special project. Hi Jodie, you have a great looking blog here and your photos are superb. I love the Wallflowers quilt, I will have to add it to my wish list of quilts to make. I really like your style and look forward to seeing the way it evolves in the future. Let’s see… one of my favorite books is “The Guernsey Literary and Potato Peel Pie Society” by Annie Barrows. Jodie, I absolutely LOVE your quilt photos! They are gorgeous and make me look forward to seeing more as I follow you in your blog. I hope you do try some improv piecing. It is my favorite way to work because your finished project is unique and the process is engaging all the way through as you are constantly making your design decisions. I’ve received lots of great support and help from the Sewcial Network. Best of luck with your blog hop. Jodie, your photos are gorgeous!!! So much fun to see. And I LOVE your quilts. You are gifted. So keep on embracing the imperfection – it leads to more joy and creativity! I hope we can continue to get to know one another in the blogging world. You are awesome!! I’m visiting you with the new blogger thing. I like your use of bright colors. I have no idea how you find/ake time to sew and quilt with two little ones plus working, etc. whatever you’re doing works. My suggestion for your blog is to put your photo at the top of the page. I like to see the photo as I’m reading the post or looking at the quilts as it seems more personable. Love your quilts and your blog! Thanks for the hop! Hello Jodie! I enjoyed reading your post and learning more about you! The quilts that you showed us are very pretty! How fun to quilt with children in the house with all of their energy plus inquisitive nature. I hope that they have fun helping you in the sewing room. Thank you for sharing all that you did and introducing yourself to all of us. Have a fantastic creative day! Hi Jodie! Nice to get to know you! Your kids are so cute! I am still confined to after bedtime for sewing; my son is 2 1/2. I’m also a big reader and like to cook. My current favorite website for recipes is budget bytes. http://www.budgetbytes.com/ She likes spicy food, but I’ve learned to just leave out the sriracha or other hot ingredients and I love her dishes. I’m looking forward to seeing what quilt you tackle next! You’ve Got Mail…one of my favorites. I have lived abroad briefly while serving in the armed forces and I can tell you…there is no place like home…However, with politics and people that are detached from reality by technology….it is starting to become a little less hospitable. I love the colors in your quilts. Nice work. Also cats are much easier to deal with and more self sufficient. PitBulls are excellent dogs and use to be America’s favorite dog…also known as nanny Dogs. I like the quilts you’ve made. Very nice! Nice to meet you Jodie! I love that Orange Peel quilt. This is one on my list. Someday! Such wonderful vibrant colour – I really enjoyed reading your post and your blog looks great! Nice to ‘meet’ you! I was a new blogger with Cheryl and Yvonne and Stephanie a couple of years ago. I love your use of color. Yes, you should go to Paris, it is fabulous! Great tip on splitting up bundles into the stash by color. I put everything in color order except for my Tula Pink fabric. Oh, and Hanukkah and Halloween fabrics.